The everyday occurrences in life, the small things that others may never notice, are where Sean Lindsey finds the humor. By finding the unusual in these ordinary situations, Sean has been able to make his mark on the local comedy scene. His never-ending energy and quick wit make him a favorite with audiences, both young and old. Sean, is native of Dayton, Ohio, where he attended the Dayton Public Schools. While there, he sharpened his skills and garnered a wealth of material. He is one of five children and has a twin brother. Being raised in the Parkside Housing Project allowed Sean to become a student of human behavior and, unknowingly, develop his God given gift for meeting people where they are and ministering to them there. In 1999, Sean was, shall we say, involuntarily, relocated to Hamilton, Ohio, by way of law enforcement and began his journey of living, learning, and growing in the Lord. He is a member of Mt. Ebal United Holy Church, where he developed a thirst for the Word of God, a love for God’s people (who are always a huge source of comedy material), and a passion for touching people through music and laughter. 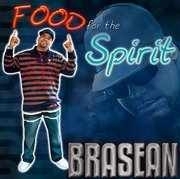 Sean uses the stage name “BraSean” as a testament to who he is in Christ and his ultimate goal of unifying and connecting the Body of Christ. Many ministry doors have opened for Sean, including Gospel Rap, Walk Like Christ Street Ministry, and comedy. Over the years, Sean has been through many changes. Through it all, he has learned to follow the leading of the Lord and has come out on the other side with joy and deeper insight.